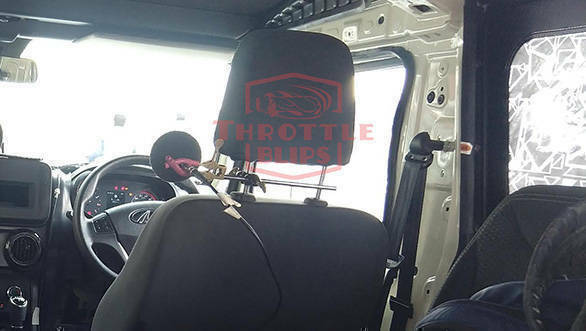 Earlier this week, a test mule of the upcoming Mahindra Thar was spotted on test. 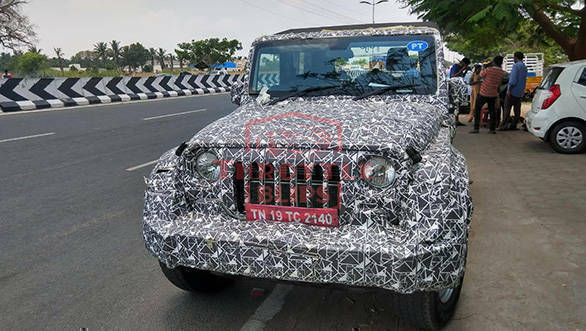 Once again, the offroader SUV has been spied, and this time around the spy pictures reveal more details of the upcoming second-generation Mahindra Thar. Even with the camouflage, the test mule confirms that the Thar retains its iconic face as well the stance. What has under a heavy revision is the cabin. The dashboard is completely revamped and the centre stage could house an updated media system. The air-ducts are placed underneath the slot dedicated to the media system. The air-conditioning controls have been restyled as well as the levers to select gears. 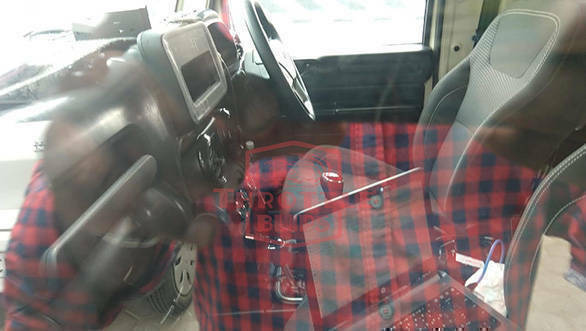 The instrument cluster has been redesigned too to appear plush. Though the test vehicle of the Mahindra Thar was heavily camouflaged, it displayed a notable change in width, courtesy - flared fender arches. Along with fibre panels on the sides, the new Thar will get chunky plastic bumpers on both ends to enhance pedestrian safety. Along with the revised underpinning, we expect Mahindra to bring the new Thar with a downsized cleaner running engine which will comply with the BSVI emission norms. The same newly-developed engine is expected to power the next generations of the XUV500, as well as the Scorpio.